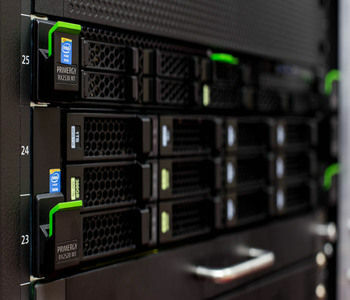 Home » Hard Drive Technology » Is It Worth Buying Your Personal Server? If you are a computer user, you can’t just be complacent anymore. You either need to upgrade your computer’s defenses or perhaps buy your own server? It may sound ludicrous to some but it is already an idea considered not just by ordinary people but may even be sold commercially anytime soon. You can’t blame the public in wanting to upgrade their computer safety nets with all the threats they face on the web. There’s also the possibility that some hardware parts and pieces contain chips allowing the culprit to spy on all your computer activities. It makes perfect sense to just purchase your own server then to reduce the threats you are facing every time you use your device. The 4 Oct. 2018 Bloomberg article “The Big Hack” alleges that China was able to add tiny spy chips to servers made by Super Micro Computer Inc. in San Jose, Calif. (Supermicro), which has manufacturing facilities in Taiwan. These spy chips may have reached almost 30 U.S. companies, including Amazon and Apple. While Supermicro, Amazon, and Apple refute the allegations addressed in the Bloomberg article, we see the report as a wake-up call for the U.S. Department of Defense (DOD) to buy only U.S.-designed and U.S.-made servers from ITAR-approved suppliers. Why? China has repeatedly shown a pattern of coordinated and well-funded attempts to compromise trusted computing by infiltrating, hacking, and disrupting U.S. security, secrets, and infrastructure. China has even declared its intention to defeat the U.S. technology industry by 2040. One example is the controversy involving China. It was recently discovered that a Chinese military unit has been secretly planting microchips on servers that support Amazon and Apple services among others. It’s been dismissed by the Chinese government but we are no longer new to these allegations since there have been talks about China gradually infiltrating US businesses and organizations in secret for years now. We are talking about spying on the hardware now and not just software applications like viruses and malware that you can still somehow prevent when the right firewalls and anti-virus software is set up on your device. Imagine their unlimited access to the millions of personal data of users accessing these websites and what they do with them after. It’s true that nobody is really safe anymore on the web, which is why those who can afford are already considering of buying their own servers for stronger security measures on their computing activities. Privacy Labs Inc., a startup based near Microsoft headquarters just outside Seattle, wants to upend all this in the name of digital security. On Wednesday, it began selling a server that runs email, contacts and calendar services through a personal web domain. The Helm Personal Server is an angular gadget, about the size of an open paperback book, that sits on a side table or desk rather than in a data center. Information is stored and encrypted on the device, not in the cloud. The first aim is to keep private messages from being hacked or accessed by governments and law enforcement. Future products include on-device versions of popular cloud services like file storage and sharing, password management and a virtual private network to make online connections more anonymous. By having your own private server, you can prevent third-parties like the government or private companies and organizations won’t have easy access to your private messages and correspondence done online. It is way more secure than just using passwords for protection. Moreover, your data is no longer stored in the cloud with everyone else but it is encrypted on your own computer. Hackers will also have a harder time infiltrating your system nor will you be constantly barraged by online ads when browsing since you don’t store all your sensitive information on data centers of big brands like Google, for instance. It is still a test and it is pretty expensive too but if you want to protect yourself from the common digital security breaches we often hear about today, then why not give it a try. Who knows you may even be able to save yourself from the hassles of data loss, which is a problem encountered by many computer users today. But since you still don’t have your own server to back you up, make it a point to be well-versed about data recovery tools and services like https://www.harddriverecovery.org/blog/data-recovery-tools/ and https://www.harddriverecovery.org/blog/how-to-choose-a-hard-drive-recovery-service/ to get you out of trouble the next time you lose your data either by mechanical failure of your device or by accident.